NICANOR’s founder Dr K.S. Heng is a renowned Malaysian cosmetic surgeon with over a decade of experience in all forms of cosmetic procedures. He is also a lecturer for the Department of Surgery at the prestigious National University of Malaysia, an established speaker for surgical-related training and workshops, as well as a frequent contributor of articles for cosmetic-related publications. Starting his professional career in cosmetic surgery as early as 1999, Dr Heng has provided his services at the Plastic Surgery Departments of numerous medical institutions. His work has taken him from Kuala Lumpur to Singapore, even as far ad Taiwan over the years; before he decided to venture into private practice under the NICANOR brandname. As cosmetic surgeon of NICANOR, Dr Heng has consistently and successfully helped people achieved their beauty-enhancement objectives through professional surgical procedures. His reputation as a reliable and trusted cosmetic surgeon has attracted patients from a diversity of backgrounds, including those from Malaysia and its surrounding regions. 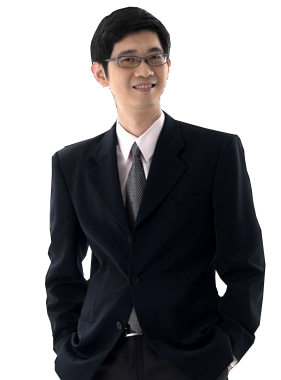 In addition to his practices, Dr Heng is also an active member of cosmetic-related researches. He was Lead Investigator in identifying a new flap for wound coverage together with Singapore General Hospital and the Experimental Laboratory; and was also involved in other researches together with University Malaya Medical Center. Dr Heng holds a Medical Science Bachelor (B.Med.Sc) Degree and a Doctor of Medicine (MD) Degree from the National University of Malaysia. He is also a Master of Medicine (M.Med) from the National University of Singapore, and has achieved his Fellowship of the Royal College of Surgeons (FRCS) professional qualification from the Royal College of Surgeons of Edinburgh. Merchant Square, A-1-3A, Jalan Tropicana Selatan 1, PJU 3, 47410 Petaling Jaya, Selangor, Malaysia.